■■ SWAZILAND: (Pics) A look at the controversial Sikhuphe International Airport due to open in 2013. Swaziland's Sikhuphe International Airport Terminal due to open in 2013. Swaziland's controversial multi-million dollar Sikhuphe International Airport is set to start operations early next year (2013) according to the Principal Secretary in the Swazi Ministry of Economic Planning and Development, Bertram Stewart. ● SWAZILAND: New International Airport a flop as dubious origins of Mswati's "gift" MD-87 aircraft revealed. Despite having been scheduled to be open for the FIFA 2010 World Cup held in South Africa, Swaziland's Sikhuphe International Airport is still incomplete, with no known completion date at hand. Condemned from the very beginning by the IMF as being byzantine and unnecessary (the airport will ultimately have facilities to handle an Airbus A380) the project was to be partly financed by the Taiwanese Government to the tune of USD$22million, whilst the rest of the funds - USD $185 million - were to have come from the Swazi Taxpayer's Pocket. But democracy activists have criticised the project and its apparently bottomless budget. "We are spending hundreds of millions on an airport we do not need and cannot afford to run," said Musa Hlophe, from the Swaziland Coalition of Concerned Civic Organisations. He lamented the lack of investment in job creation in a country in which 67% of the population lives in poverty and 40% is out of work. But that's not the only aviation related scandal to have hit Swaziland in recent days. 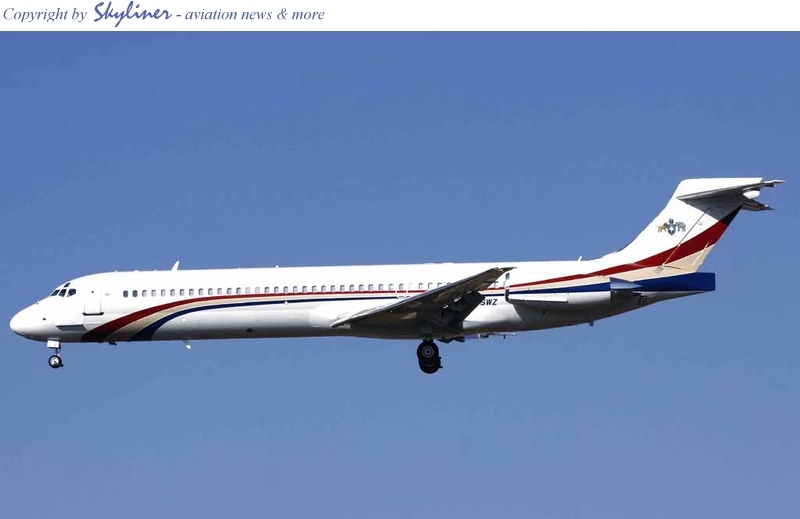 According to numerous news outlets, the gift MD-87 aircraft allegedly given to Swaziland's King Mswati III by "anonymous sponsors" has been found to have had its origins "laundered" in a bid to conceal the aircraft's true source. King Mswati III of Swaziland. Reports by investigative journalists "AmaBuhgane" from South Africa's Mail & Guardian Newspaper are claiming that the aircraft in question has a market value far above that stated by the Swazi government, of USD$2million. "The investigation also strongly suggests that the price of the refitted aircraft is likely to have been much higher than the maximum $2-million estimated by experts last week. One knowledgeable plane-spotter believed it could have cost up to $20-million (R157-million). The MD-87's earlier history is also tinged by controversy. It appears to have been sold to the Grandmax Group, a company registered in the British Virgin Islands and owned and controlled by Nina Tantiprasongchai. Nina is the wife of Udom Tantiprasongchai, who runs Thailand's low-cost Orient Thai airline. Controversial for its safety record, Orient Thai's One-Two-Go OG269 crashed in Phuket, Thailand on September 16 2007, killing 88 passengers. Online registration records show that in early December 2007, the aircraft was ferried from Tokyo to Hong Kong to Bangkok. Grandmax appears to have been an intermediary, because the same records show that the aircraft was bought by Aircraft & Engine Support LLC on February 19 2008." This is not the first time the thorny issue of Business Jets have caused the Swazi Government embarrassment. 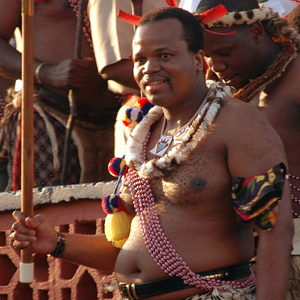 In 2002, the Swazi Senate called for the arrest of Prime Minister Sibusiso Dlamini over the cabinet's use of development funds to purchase a $45 million luxury jet for King Mswati III, amid a food crisis that threatened one quarter of the population.